Such darling cards! I love all the embossing! Thanks for playing with me! I love your card and how you have used Michelle's image. TFS. seongsook...this is so pretty! 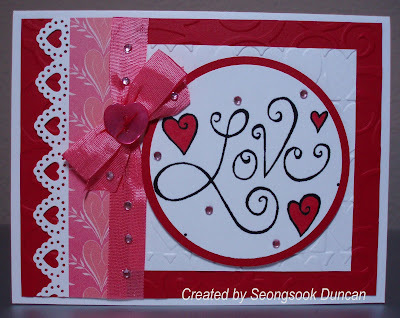 what a precious valentine's day card! thanks for playing along with my sketch for this week...you did such a great job!